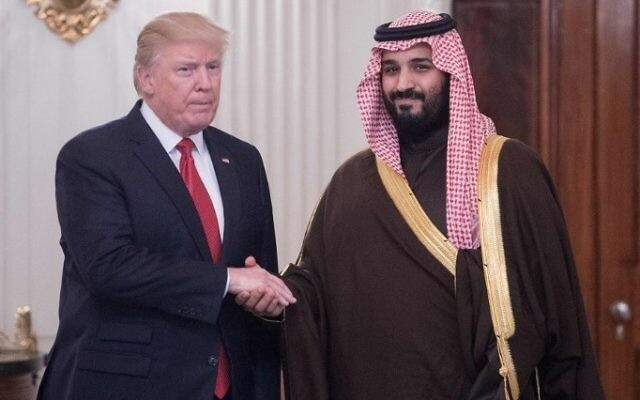 “They discussed ways to further deepen economic cooperation between the United States and Saudi Arabia,” and resolving the ongoing dispute between Saudi Arabia and Qatar, the statement said. The phone call came as Trump’s son-in-law and special adviser Jared Kushner met with Prime Minister Benjamin Netanyahu in Jerusalem. They were joined by US Ambassador David Friedman and US peace envoy Jason Greenblatt for a meeting at the Prime Minister’s Office. Kushner has been tasked by the president with advancing peace efforts, and Wednesday’s meetings — he headed next to see Palestinian Authority President Mahmoud Abbas — marked his first direct foray in the region, after he accompanied Trump here last month. The White House said that Kushner and Greenblatt were to return to Washington, where they will brief Trump, US Secretary of State Rex Tillerson, and US National Security Adviser H.R. McMaster. 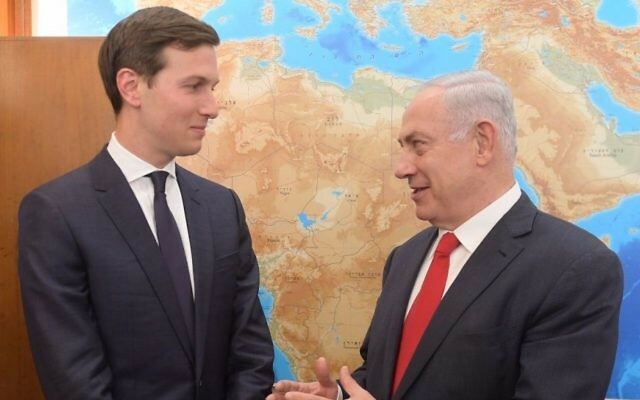 Channel 2 political analyst Udi Segal reported that Greenblatt and Kushner had come to bring a message of a general desire for peace that the television reporter described as a “Miss Universe wish for world peace,” with absolutely no concrete proposals, details, goals or even a plan to get Netanyahu and Abbas in the same room. Well-placed sources have also told The Times of Israel that there are no imminent plans for a Netanyahu-Abbas summit. US officials, including Tillerson, have said that they are pushing Abbas to end incitement to violence against Israel, and to stop paying stipends to terrorists and their families. 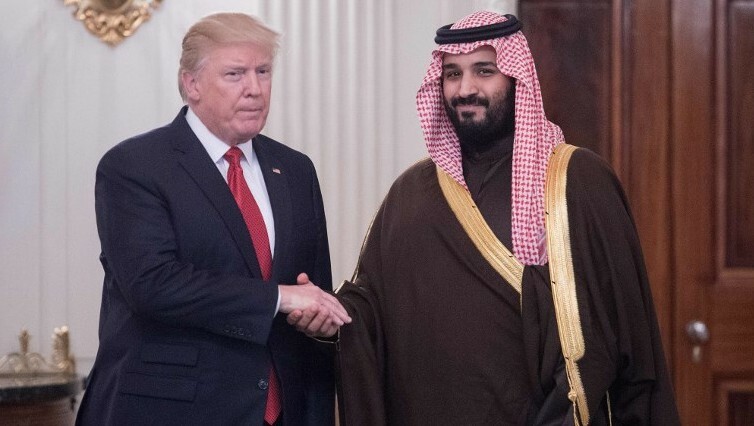 At the same time, it is understood that the US does not want to impose preconditions that would prevent a resumption of substantive peace efforts. 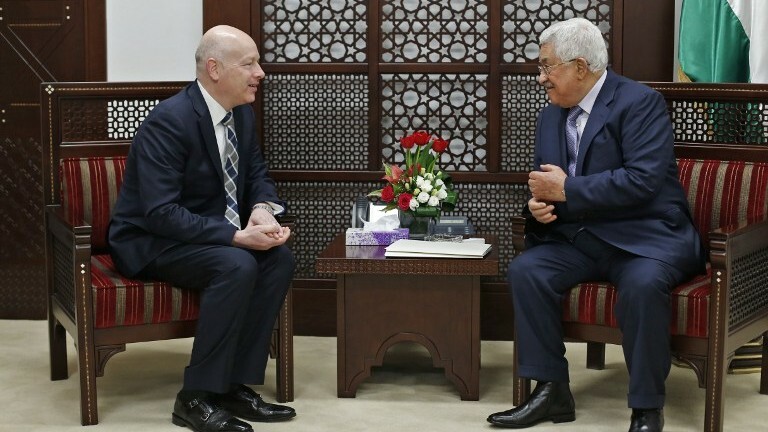 A senior Palestinian official said that a preparatory meeting with Greenblatt on Tuesday had not gone well and became tense over the payments. 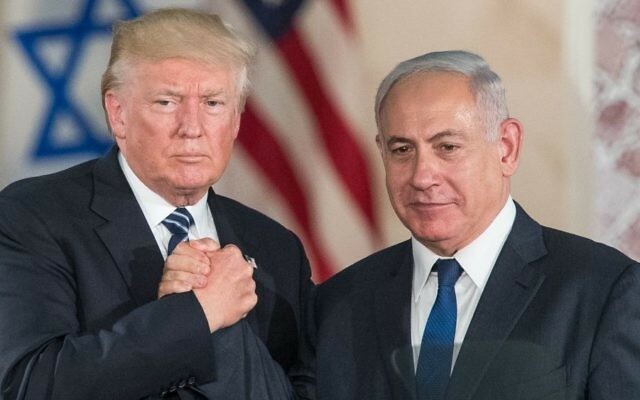 He said the Americans “are buying” Netanyahu’s complaints about Palestinian incitement, and that Greenblatt was insisting on an end to the welfare payments. The official, speaking on condition of anonymity because he was discussing a closed diplomatic meeting, said the Palestinians had rebuffed Greenblatt’s pressure and demanded an Israeli settlement freeze. 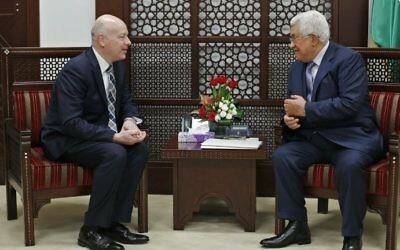 He said a Palestinian delegation would head to Washington next month for further talks. On Tuesday, the Trump administration again said that Israel’s settlement expansion does not help the peace process. US State Department spokeswoman Heather Nauert, at a media briefing, spoke about the development of more Israeli settlements, in response to a reporter’s inquiry. Her comment came the same day Netanyahu announced that ground had been broken for the construction of the first Israeli West Bank settlement in 25 years. The new settlement, to be known as Amichai, is to accommodate residents of the illegal Amona outpost, which was evacuated in February in line with court orders, because it was built on private Palestinian land.